Hey guys! 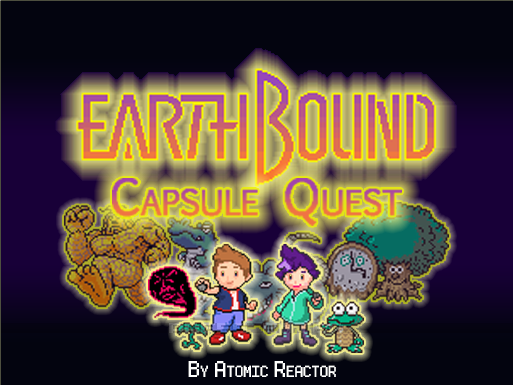 I'm proud to present the finished copy of my game jam entry, Earthbound Capsule Quest. (I figured I'd post a thread in case anyone needs help or has questions. 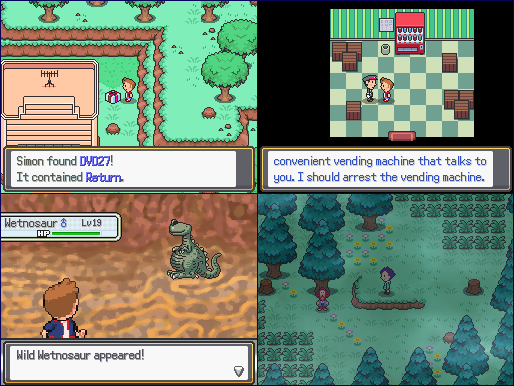 The game is short, 3 towns, 5 different areas to catch monsters. The final boss is a Lv. 50 pink Starman. You go around the island interacting with people and unlocking little challenges. 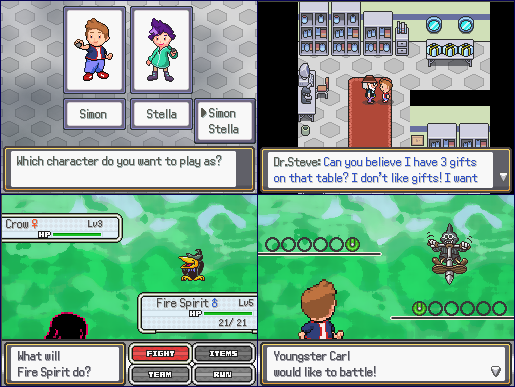 Try catch the monsters and see if you can beat your rival and a strange scientists perfect battle simulation robot! There should be about 2 to 4 hours of gameplay. You could possibly beat it in one or two sittings. Made Using RPG Maker XP, and the Pokemon Essentials engine. The resources in this game are free to use! Just make sure you give credit to Poccil and Maruno, and the original creators of the series. I only made a few original resources for this (The hero sprites, backsprites, capsules). 2. I don't know if you had intentionally done it, but I had gone through so much bad RNG during my playthrough of the game that honestly, it almost ruined a good chunk of the experience. I have been flinched frozen, confused, and had moves completely miss more times than i think i have playing through a main pokemon game twice in a row. It didnt matter if it was a wild monster, or a trainer, but every time i was confused i hurt myself any time. Any time there was a flinch move i was 90% flinched. This probably was just bad luck on my playthrough but it happened so much that I genuinely started to hate the game's battles for a while if it weren't for the Booka I caught about halfway through that really helped me carry my team and finally start leveling up so that I could complete the game at a normal pace. Despite the complaints above, I genuinely think that this is a fabulous addition to the fangame collection that I have, and I will probably end up picking it up and playing it later down the line. Can't wait to see more of what you have planned Atomic! @LunarDusk Unfortunately it sounds like you had a run of bad luck, cause I didn't change any of the default move effects or anything. I will admit the level curve in this project is not that great. I would definitely advise people to not waste time catching things early on, instead wait for the Dust Valley to catch stronger monsters. Also, a lot of the buckets in the towns have fresh water in them, for those that need more help with healing items! Yeah healing items wasnt a bit deal, but if a party member fainted from the flinches and crits before i could heal then i was kinda forced to backtrack. No worries though! Just wanted to say great job - I saw it played and loved every minute of it. Very inspired by earthbound and it fit the aesthetic perfectly. You really nailed it with this small adventure. every layer of polish you added from dialogue to hidden things was great and just really enjoyable to see. The monsters were also really cool!